The International Schools’ Football Under 20 Championship (FUTC 2018) will kick off on the 15th of October with the final scheduled for the 28th of October. 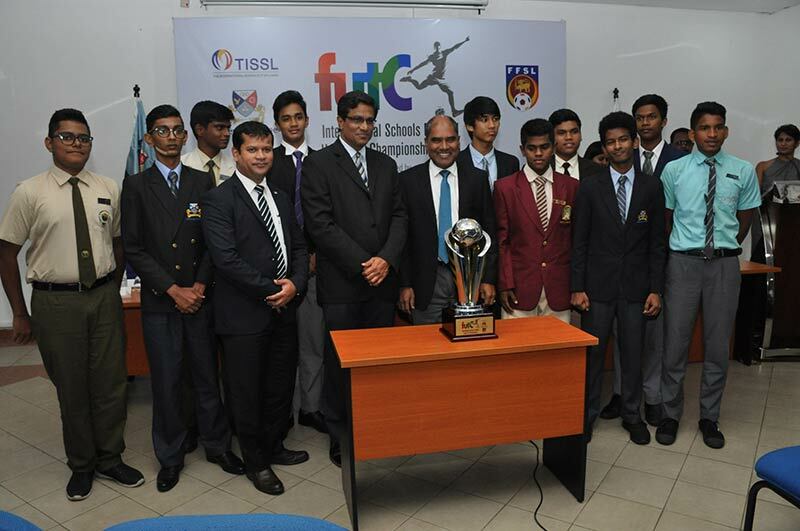 Twelve TISSL (The International School of Sri Lanka) teams will participate in 3 groups with the top two teams from each group and the two best 3rd places progressing to the quarter finals. TISSL is the Association of the Premier International Schools in Sri Lanka. Favored to be the world’s favourite game, the history of football spans over 100 years. The game has its roots in England, but spread internationally, largely due to British influence around the world. Football in Sri Lanka has seen an increase in popularity over the years and has become one of the top competitive sports in the school arena. This year, for the first time, Gateway College will organize the Under 20 International Schools Football Tournament in collaboration with The Football Federation of Sri Lanka. Since its inception in 1997, Gateway has offered the highest global standards in academics as well as sports. The recent popularity of the shorter games has seen increased enthusiasm from players and spectators alike: Gateway now has annual encounters for Netball and Basketball with Museaus College and Royal College respectively. Football has a large fan-base within the school and interest for the game has spiked in the recent past. As such the school has invested in a large property in Ratmalana, which houses a football field of the highest standards where this tournament will be staged. This year the school will partner with the Football Federation to organize an exciting event for Under 20 players of the TISSL schools. Founded in 1939, The Football Federation of Sri Lanka has worked towards promoting the sport within the country by identifying up and coming players at both school and national levels. In May 2014 the Federation organized the first Under 19 schools football tournament which gives promising school athletes an opportunity to become national stars. Gateway College was among the four international schools that participated in that inaugural event. Over the years the Federation has collaboratively organized several annual football encounters which have contributed to the current popularity of the sport. A memorandum of understanding will be signed between Gateway College and The Football Federation of Sri Lanka, who will henceforth jointly organize this annual event.